Proficient Training offers quality First Aid and CPR instruction. 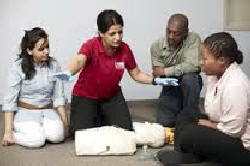 We deliver Red Cross, Lifesaving Society and Heart and Stroke Foundation courses. Emergency First Aid is a one-day course which meets the criteria of Manitoba Workplace Health and Safety requirements for First Aider 1. This course provides simple First Aid and CPR techniques taught in an interactive environment, for individuals who want an overview of First Aid and CPR for the home or workplace. The course covers skills needed to recognize and respond to cardiovascular emergencies for adults, CPR, and other topics such as choking, airway and breathing emergencies and prevention of disease transmission. This certification is for three years. Go to Courses. Standard First Aid is a two-day course which meets the criteria of Manitoba Workplace Health and Safety requirements for First Aider 2. 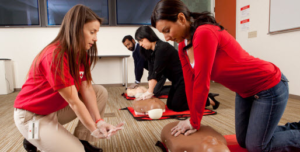 This Red Cross course provides comprehensive First Aid and CPR techniques for those who want more knowledge to respond to emergencies in the home or workplace. 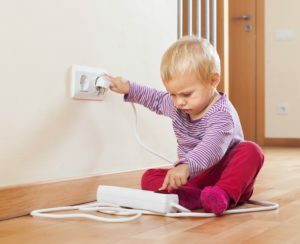 A variety of topics are covered from basic first aid such as cardiovascular and breathing emergencies, CPR, prevention of disease transmission to more severe sudden medical conditions and injuries to the head and spine. It is usually 14 to 16 hours long. The certification is for three years. Go to Courses. 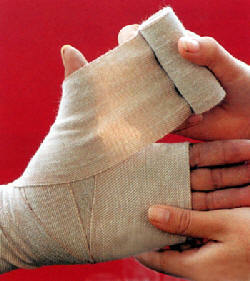 Standard First Aid can also be taken as an Online course. When you sign up, you are given a PIN and a Password. You can then go to Red Cross eLearning and complete the Online portion. Then, you would attend the Practical session which would include CPR and few other skills. This certification is also good for three years. Go to Courses. CPR is a one-day course. The length of the session depends on the type of CPR. CPR A is adult only CPR; CPR C is adult, child and infant CPR plus two-person adult CPR; and CPR HCP is for Health Care Providers. These sessions can be either through the Red Cross or the Heart and Stroke Foundation. Go to Courses. There is Lifesaving Emergency First Aid and Lifesaving Standard First Aid as well Lifesaving CPR A, C and HCP. These programs flow seamlessly into other Lifesaving Society programs such as the Bronze Medallion and Cross, Swim Patrol and Swim For Life. If you would like to be certified in Lifesaving First Aid, contact us and we set up a class for you; minimum 6 candidates and maximum 12 candidates. Contact Us. The Heart and Stroke Foundation Standard First Aid program complements the Basic Life Support program. It is the preferred program of most medical faculties and facilities. If you would like to be certified in Heart and Stroke Foundation Standard First Aid, contact us and we set up a class for you; minimum 6 candidates and maximum 12 candidates. Contact Us.